Whether she’s tilling a garden, giving a speech, or receiving foreign dignitaries, much ado is made about what Michelle Obama wears. So when the First Lady wore British label Alexander McQueen to this week’s state dinner for Chinese President Hu Jintao the choice let loose a storm of praise and criticism. 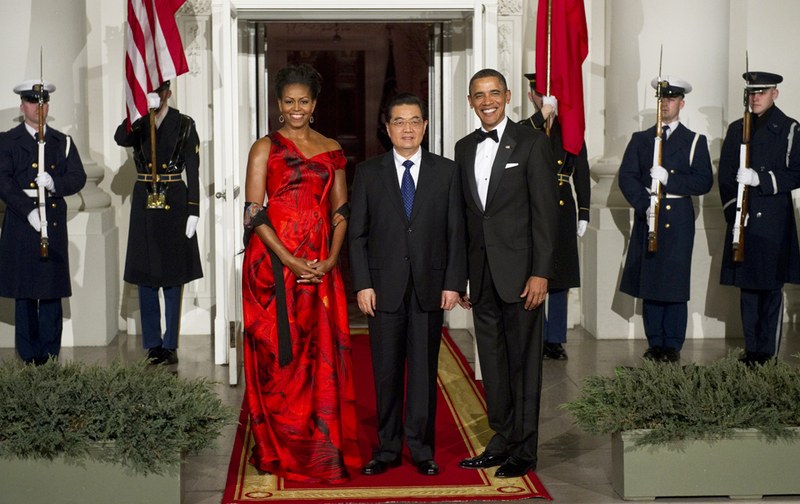 Most assumed that Mrs. Obama would have worn a gown by a Chinese or Chinese American designer – like Vera Wang, who was in attendance that evening. In some minds it was a lost opportunity and even a snub. “My understanding is that the visit was to promote American-Chinese trade — American products in China and Chinese products in America,” Oscar de la Renta told WWD. “Why do you wear European clothes?” The Italian born designer, whose collections show in New York City went on to say that Mrs. Obama could have chosen a young American designer who needed the publicity (a la Jason Wu). The assertion, however, signals lack a depth of understanding of the moment. Others (with less commercial stake in the matter) praised the choice for it’s opulence and nod to exsquisite artisanship and creativity in fashion. Pullitzer Prize winning critic Robin Givhan went farther, theorizing that the gown symbolized commentary on the production chain of the fashion industry. And in wearing the gown to honor China, a country that many view with disdain for its abundance of cheap labor, counterfeit products, and poor labor practices, Mrs. Obama seemed to be recognizing the country’s inevitable place in the fashion cycle and giving it its due. Indeed, Chinese consumers represent a vast new marketplace for designer companies, and the production quality of its factories continues to improve. In short, Mrs. Obama’s choice was an optimistic celebration of all that fashion can be and it seemed to suggest that China was welcome to be a part of that vision. Read the rest at The Daily Best. 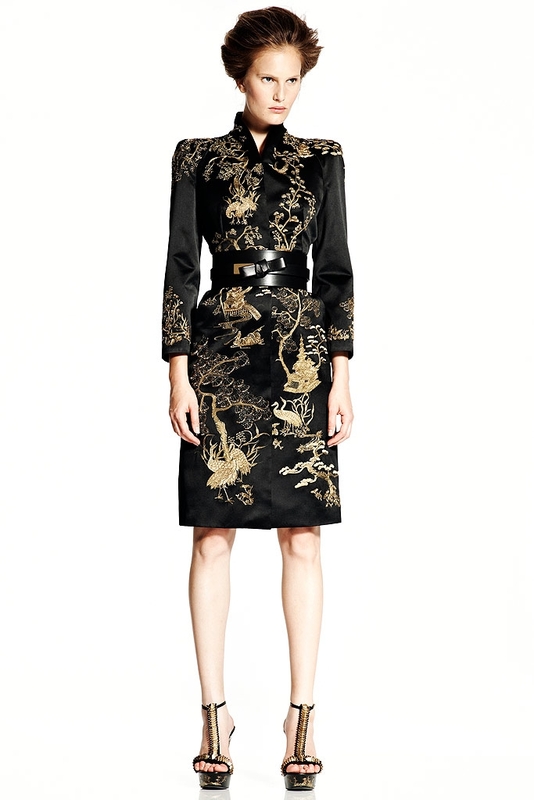 But what the Givhans and Horyns have yet to mention is that that the rest of the Alexander McQueen Resort 2011 collection, from which the dress was taken and perfectly modified, contained a heavy Asian influence in its prints and shapes. The gown Mrs. Obama chose wasn’t obvious, but when you consider it’s vibrant red color and it’s floral pattern it does seem very Chinese.